Hi everyone! I wanted to give you a sneak preview of my latest 2 bears before I get them on my website. 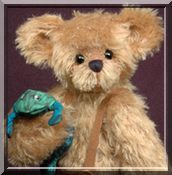 Felix is a 2 toned light chocolate brown and very dark brown panda. 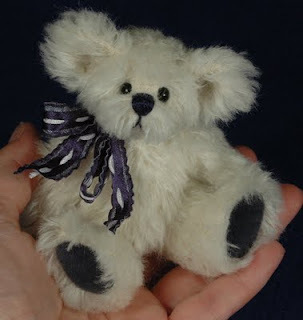 Chilly is a white polar bear with blue footpads, a blue nose and blue bow. 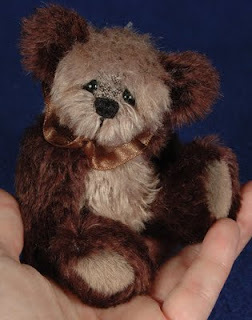 They are each 5" tall and created out of mohair. Both are fully jointed and can stand up by themselves. 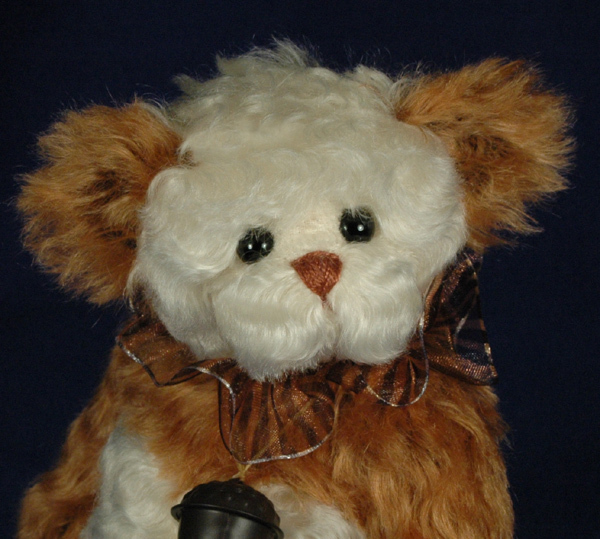 Thank you for your interest in my "fur kids"! I'd like to give you this sneak preview of Acorn. He's a 9 1/2" One of a Kind mohair panda bear. He was created out of soft wavy white kid mohair and rust colored mohair with a dark backing. 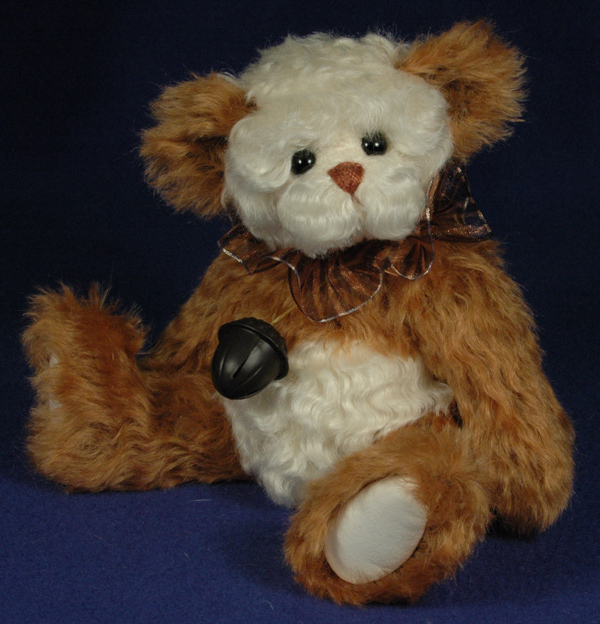 He has black glass eyes, a brown hand stitched nose and 2 ultrasuede footpads. 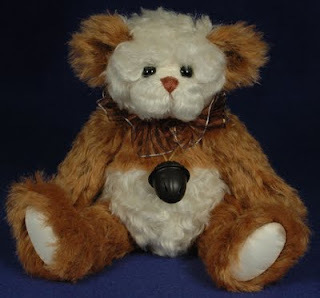 Acorn wears a ribbon ruff of rusty orange with black stripes round his neck and has an acorn shaped bell.